Richard Barrett is an author, speaker and an internationally recognized social commentator on the evolution of human values in business and society. He is the Founder and Chairman of the Barrett Values Centre and an internationally recognized thought leader on values, culture and leadership. He is a Fellow the World Business Academy and Former Values Coordinator at the World Bank. 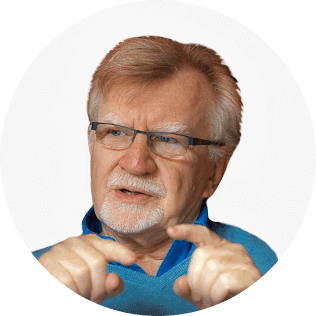 He is the creator of the internationally recognized Cultural Transformation Tools (CTT) which have been used to support more than 7,000 organizations on their transformational journeys. To date, more than 6,000 change agents, consultants and coaches have been trained by the Barrett Values Centre to use the Cultural Transformation Tools in over 50 countries. Richard has been a visiting lecturer at the Consulting and Coaching for Change, Leadership Course run by the Saïd Business School at the University of Oxford and HEC in Paris. He has also been an Adjunct Professor at Royal Roads University, Institute for Values-based Leadership, and a visiting lecturer at the One Planet MBA at Exeter University. Richard Barrett is the author of Everything I Have Learned About Values (2018), The Values-Driven Organization (2nd Edition) Cultural Health and Employee Well-Being as a Pathway to Sustainable Performance (2017), A New Psychology of Human Well-Being: An Exploration of the influence of Ego-Soul Dynamics on Mental and Physical Health (2016), The Metrics of Human Consciousness (2015), Evolutionary Coaching: A Values-based Approach to Unleashing Human Potential (2014), The Values-Driven Organisation: Unleashing Human Potential for Performance and Profit (2013), What My Soul Told Me: A Practical Guide to Soul Activation (2012), Love, Fear and the Destiny of Nations: The Impact of the Evolution of Human Consciousness on World Affairs (2011), The New Leadership Paradigm (2010), Building a Values-Driven Organization: A Whole System Approach to Cultural Transformation (2006), Liberating the Corporate Soul: Building a Visionary Organization (1998), and he is a contributing author to Psychometrics in Coaching (2012). This session is about the practice of evolutionary coaching—what every coach, caring professional and human resources manager needs to know to support the full emergence of their client’s or employee’s potential. At the core of the theory of human psychological development are two ideas: first, we grow and evolve in stages, and second, each stage has its own specific needs. What motivates us at any moment in time is the satisfaction of the needs of the stage of psychological development we have reached—our primary motivation, and the satisfaction of the needs of the stages of psychological development we have passed through where we still have unmet needs—our secondary motivations. For whatever reason, and for whatever period of time the unmet needs from the earlier stages of our development predominate over our primary needs, we become arrested in our development: While our conscious awareness is taken up with satisfying our secondary motivations, we cannot focus on our primary motivation. The job of the evolutionary coach is to help their clients prevent this from happening; and if it does, to support their clients in refocusing on their primary motivation by teaching them how to overcome or master their unmet needs and help them build new neural pathways. 1. The fundamentals of evolutionary coaching. 2. The role of the ego and the soul in personal growth and development. 3. Why every coach or human resources professional needs to know about the seven stages of psychological development. If you want to promote the healthy psychological growth of your clients, it is important to recognize that every individual you are working with is on evolutionary journey—a natural journey of psychological development that is common to every member of the human race. Every goal your clients are trying to achieve, every challenge they are facing, and every choice they have to make will in in some way be related to the needs of the stage of psychological development they have reached or the needs of the stages of psychological development they have passed through that they have not yet mastered, where they still have unmet needs. Understanding where your clients are on their journey will provide you with valuable insights into how you can help them meet their goals and fulfil their potential: not just helping them become more proficient at what they do, but helping them participate in their own evolution; the evolution of their organisations; the evolution of our global society and the evolution of our species. In addition to recognizing that your clients are on an evolutionary journey, it is important to recognize that they are embedded in multiple cultural contexts: a family context, a community context, an organisational context and a societal context. To facilitate the full emergence of your clients you must assess what stage of development these cultures are at. He will provide an overview of the consciousness of 145 nations. If the cultures your clients are embedded in are less advanced in their development than your clients are, your clients may find it difficult to explore their full potential. If on the other hand, the cultures they are embedded in are more advanced in their development than your clients are, your clients will feel supported in exploring their development. 1. How to integrate evolutionary coaching into your practice. 2. How to support your clients in mastering the needs of the stage of psychological development they have reached, and the needs of the stages of psychological development they have passed through where they still have unmet needs. 3. How to assess whether the organisational culture and national culture in which your clients are embedded supports or hinders their development.